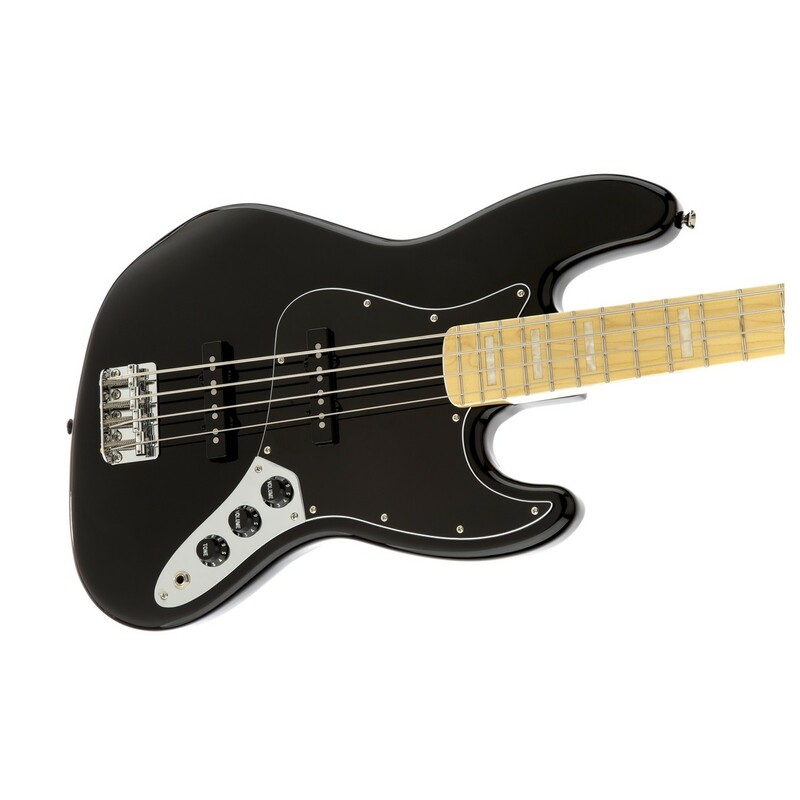 Squier's Vintage Modified Jazz Bazz 77 takes us back to the age of punk. 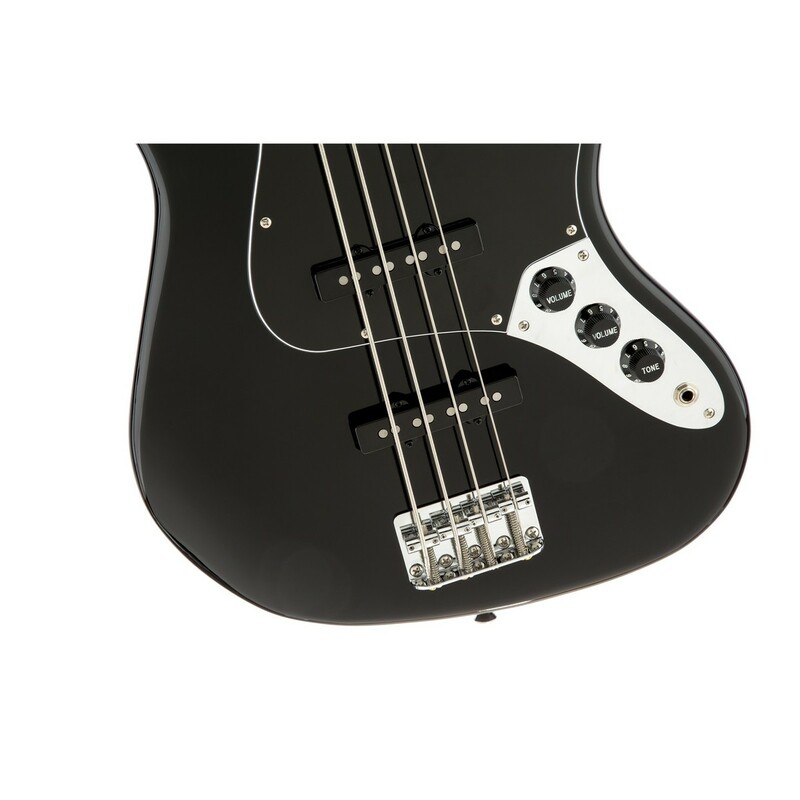 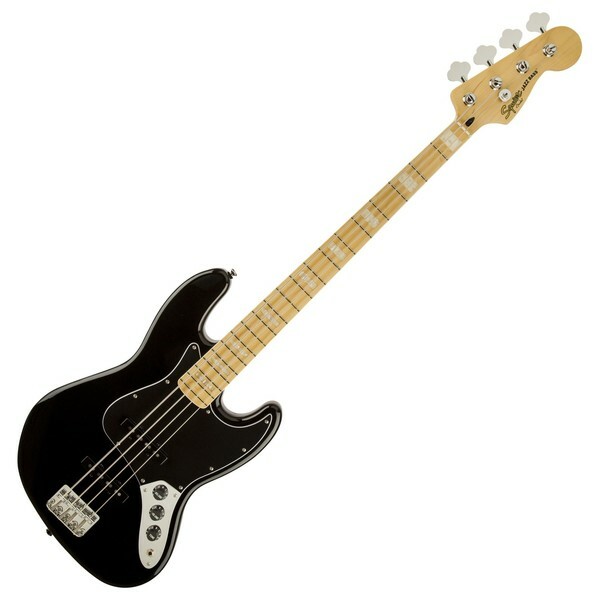 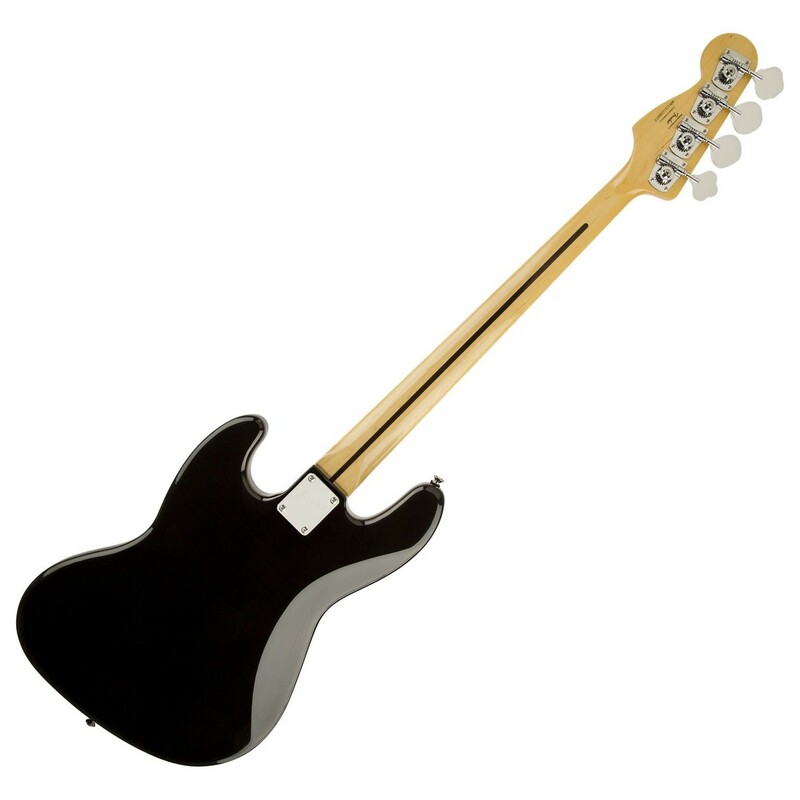 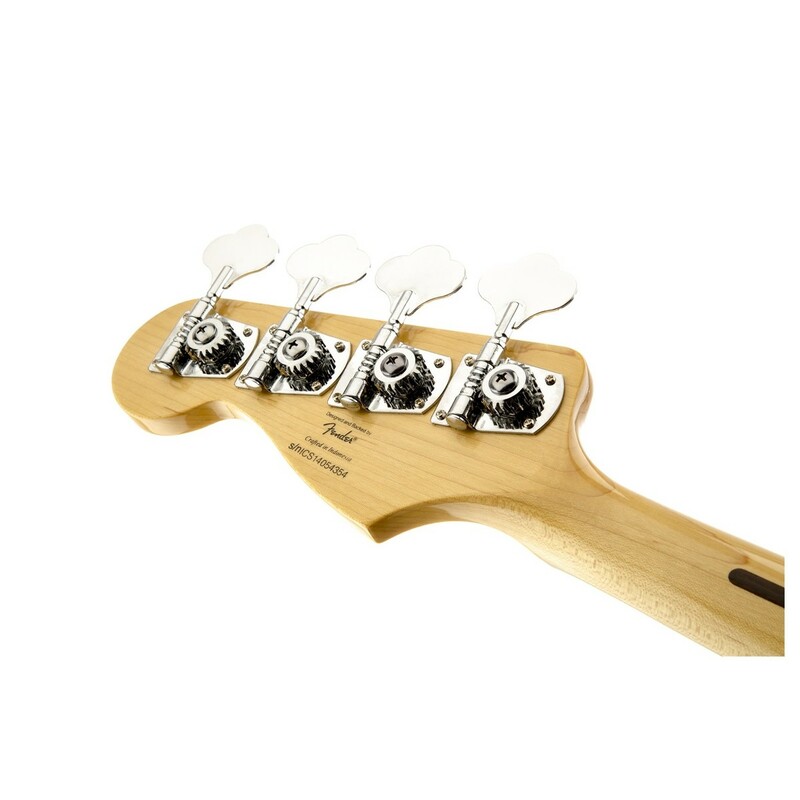 A sleek Agathis body in classic Black, and a soft "C" shaped, slim, Maple neck for fast movement along the frets make this bass great to play. 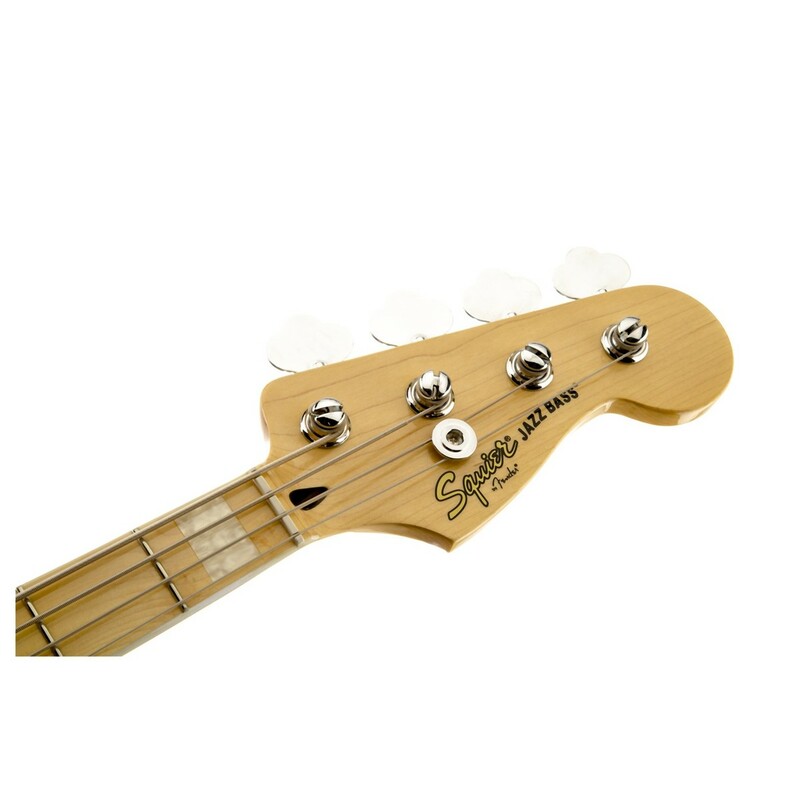 The vintage tint gloss finish and white pearloid block inalys on this Squier Bass really gives the instrument a vintage feel. 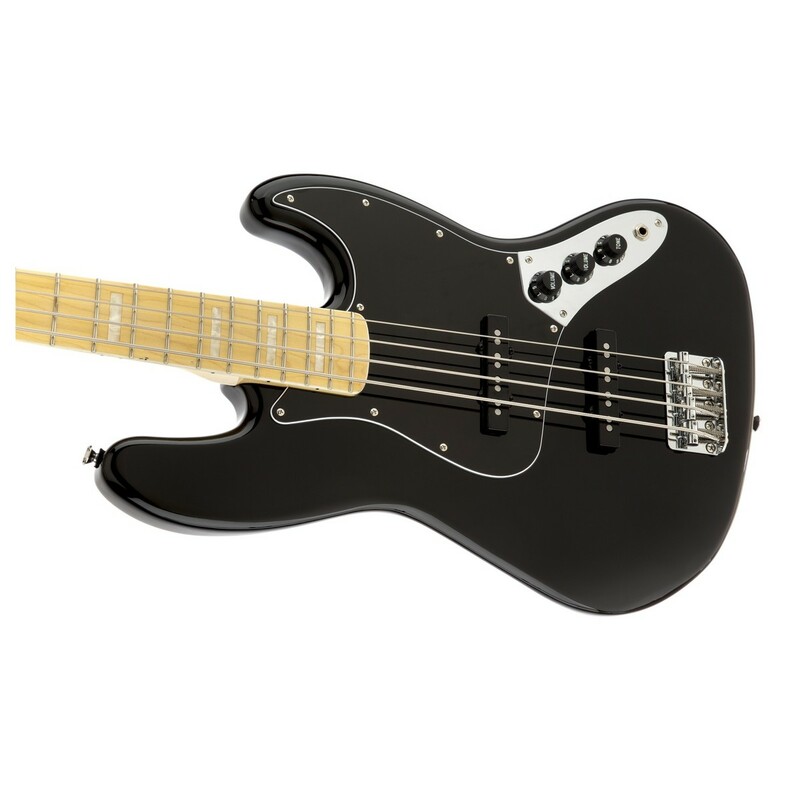 Other nice features include a white bound 9.5" Maple fingerboard with 20 medium jumbo frets, three play black pickguard, four saddle bridge, black plastic control knobs and open gear tuners.